The minimum wage debate in St. Paul has only begun, and already tipped workers are at the forefront. Two public events this month exposed a divide within the restaurant industry over whether employers should be allowed to pay less than minimum wage, as long as workers make up the difference in tip income. 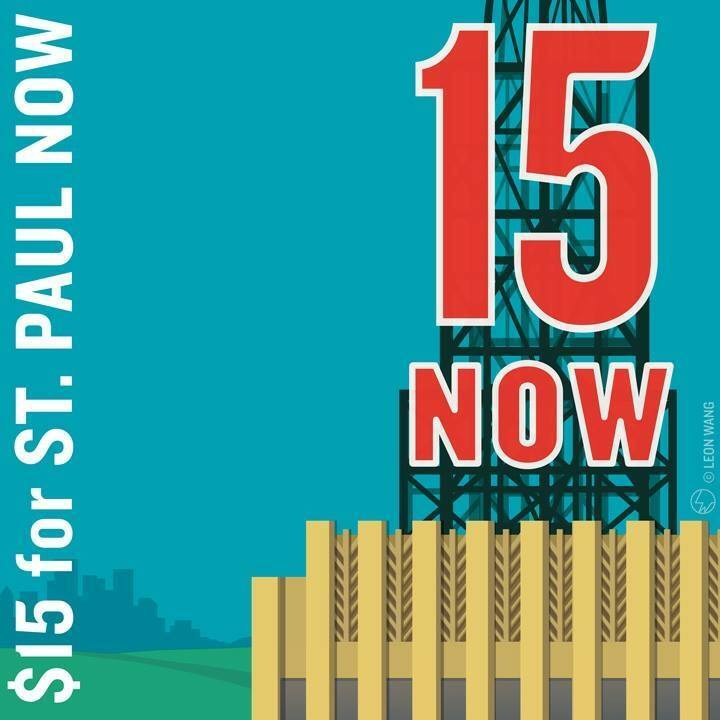 Whatever it’s called, Minnesota is one of just seven states without one, and that won’t change as Minneapolis’ citywide minimum wage edges closer to $15 over the next six years. But it’s not for the restaurant industry’s lack of trying. Employers lobbied fiercely for a tip penalty last year in Minneapolis. At the Capitol, they backed Republican lawmakers’ bill to block cities from passing minimum-wage ordinances. So it’s unlikely the restaurant industry will sit on the sidelines as St. Paul’s newly elected mayor, Melvin Carter, looks to deliver on his campaign pledge to make $15 a reality in the capital city. Unions and worker advocacy groups like the Restaurant Opportunities Center United, which is organizing tipped workers in St. Paul, oppose a two-tier wage system. They argue it leaves behind the very workers a minimum-wage increase is supposed to benefit. “If your business is on the verge of closing because your workers demand to be paid an equitable wage, then you need to think twice about your business model,” said Steven Lewer, a server who lives and works in St. Paul and a supporter of maintaining one fair wage in his industry. Government data shows job growth in the restaurant industry is outpacing any other area of the economy, but average earnings in the industry – $22,350 per year for full-service waitstaff in Minnesota – are stuck at the poverty level. 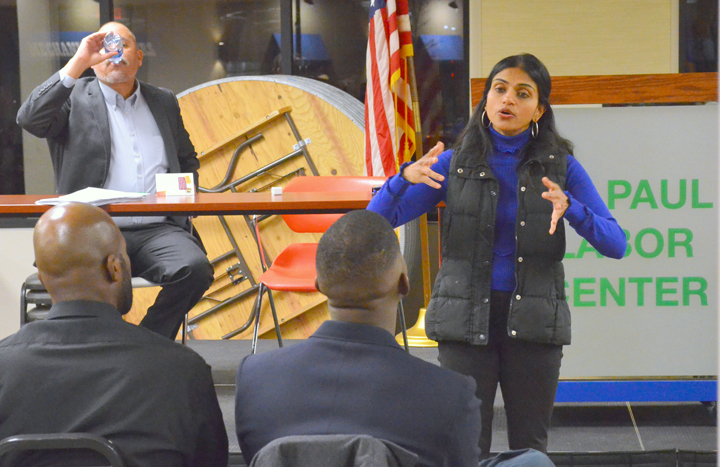 That’s why lawmakers in New York, Michigan and elsewhere are moving to roll back tip penalties, ROC United President Saru Jayaraman told tipped workers gathered at the St. Paul Labor Center Jan. 17. ROC United’s Saru Jayaraman talked with tipped workers supporting one fair wage in St. Paul. Jayaraman presented evidence that restaurant workers in states with a tip penalty experience sexual harassment at nearly double the rate of their counterparts in states like Minnesota. The connection between tipping and harassment isn’t hard to understand, St. Paul server Sarah Kopp-Reddy said. Restaurant workers in the U.S. already experience sexual harassment more frequently than workers in any other industry, according to a Buzzfeed analysis of complaints filed with the federal Equal Employment Opportunity Commission. A ROC United survey found 90 percent of women working in the restaurant industry have experienced sexual harassment. Lewer and Kopp-Reddy, both 28, see growing support among tipped workers in St. Paul for an ordinance establishing one fair wage, but they acknowledged support is far from universal. Proponents of the tip penalty staged a public event Jan. 8 at a Cathedral Hill bar, where restaurant owners and staff made the case for paying tipped workers less. Several servers and bartenders expressed concern that their employers would not be able to absorb a higher minimum wage, or that patrons would no longer leave tips. One shift manager from a bar on West 7th Street spoke on behalf of his wife, a server who, when it comes to higher wages, “doesn’t need it, doesn’t want it.” A bartender from Minneapolis said he’s looking for work in St. Paul now that his hourly wage is on track to increase annually. The owner of a Como Park eatery warned that iPads could replace waitstaff if their wages go up. Doomsday predictions and scare tactics are a permanent fixture of the minimum wage debate, Jayaraman said, but they aren’t backed up by empirical evidence. Look no further than Minnesota’s own restaurant industry. The state’s minimum wage has increased by 33 percent since 2014, when state lawmakers passed the first increase in decades. Despite dire warnings from industry lobbyists during the legislative process, employment in restaurants and bars has grown by over 16,000 since 2014, according to data compiled by the state’s Department of Employment and Economic Development. On average, people working in restaurants are earning $57 more per week. “Tipping isn’t going to go away” as the minimum wage goes up, Jayaraman said. “But no amount of evidence seems to overcome fear.